Food can be effective bribe. Last weekend I bribed Ellen and Whitney, and RV-7 friends Andy Olech and Allison Bailey, with lunch at the Midfield Cafe to help install the wings for the first time. Thanks Andy and Allison, we appreciate you flying up from Hartford and spending the day with us! And as always, thanks to my family – Ellen and Whits, I couldn’t do any of this without you ! This is one of those times in the project when a lot of past effort to maintain tight tolerances really pays off. 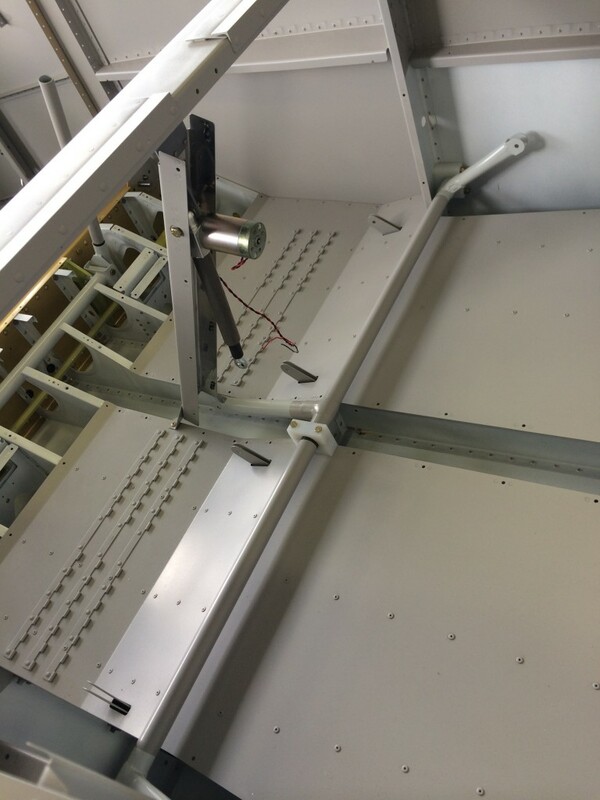 Every RV slow-builder stresses about making sure the front and rear spar bulkhead halves in the fuselage are spaced 1.438″ apart as required by the plans. 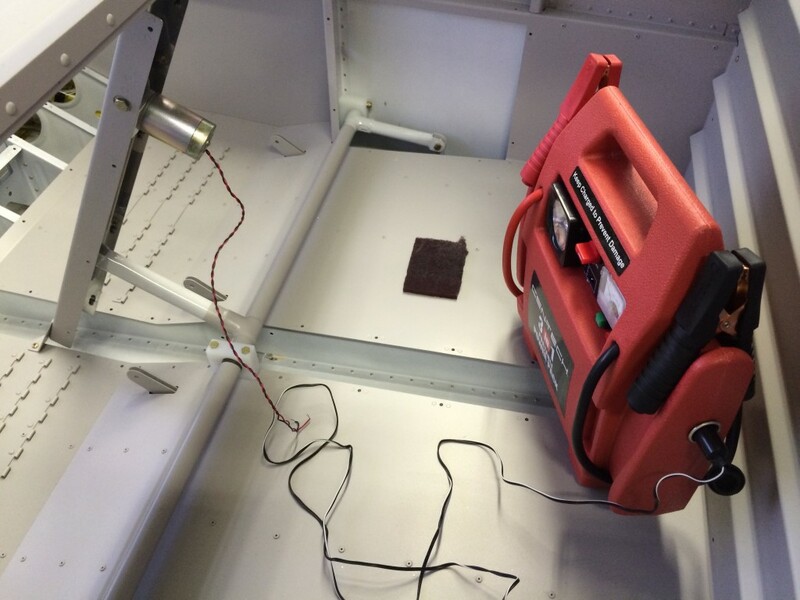 With the help of a little Boelube, the spar ends slid right into the fuselage. Cool. With Andy, Allison, Ellen and Whitney adjusting wing position, I inserted a couple of taper pins into bolt holes for each wing. Van’s calls for four pins, so before I made any final measurements and drilled any holes, I borrowed some long, custom-made stainless steel taper pins to augment the four pins I made from hardware-store bolts. Thanks to Rich Mileika for making those really nice stainless steel taper pins, to John Sannizzaro and Bill Higgins for flying up to Nashua yesterday and helping me get the last 3-4 taper pins in so that the wings are secure, and last but certainly not least, thanks to Bob Weldon and his daughter Emma for muscle power and precision plumb bob stabilization <g>. 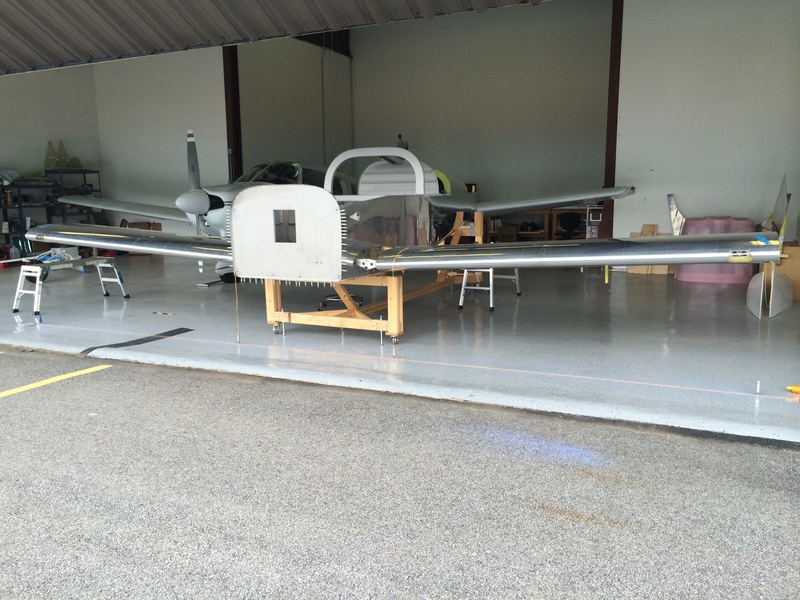 With the wings temporarily installed, I made sure the fuselage was level laterally and longitudinally. 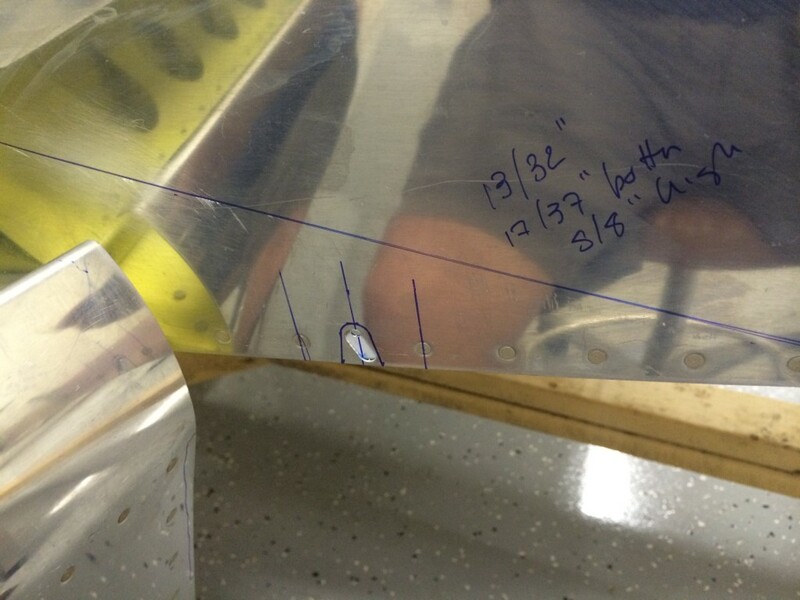 The plans call for measuring longitudinal level on the longerons at the cockpit, but these almost always have some residual twist from the bending process that makes it hard to get a good level measurement. So, I just moved the levels back a few feet to a straight portion of the longerons. I had to adjust the cradle a little to get everything spot on, no big deal. 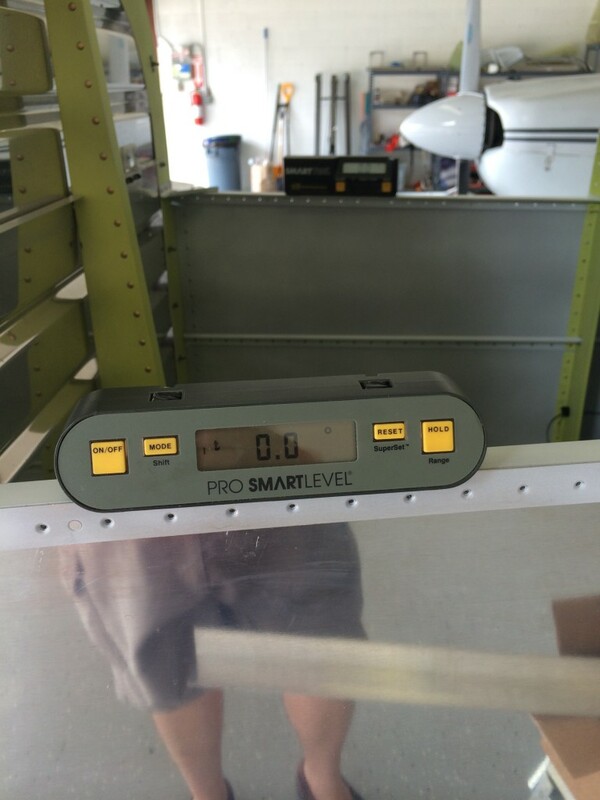 According to the Van’s FAQ on wing incidence and sweep, the next measurement is from reference points on each wingtip to a common point on the aft fuselage. My measurements were the same to within 1/32″…cool again. 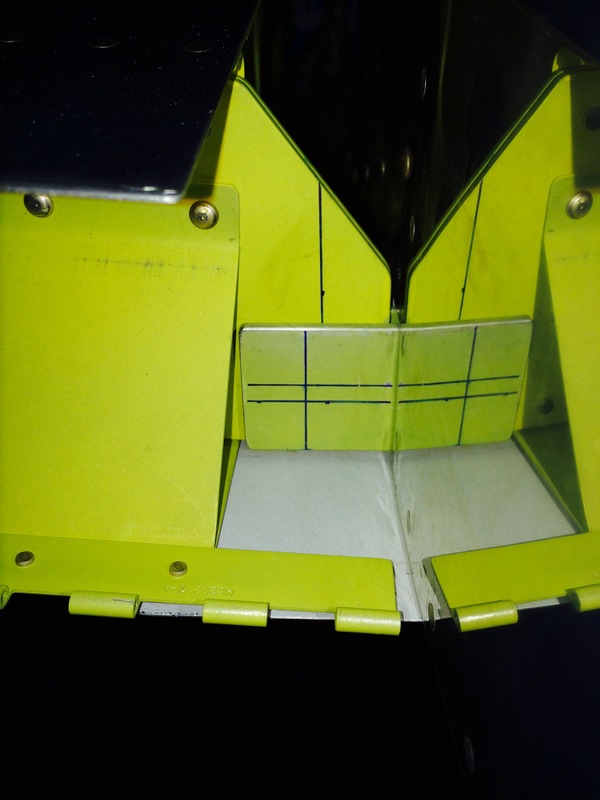 I then dropped plumb bobs from the wing leading edges – one inboard and one outboard on each wing panel, and laid out a reference line between the outboard plumb bobs to serve as a reference for double-checking sweep. Measuring the distance from the inboard plumb bobs to the reference line, I found that each wing had only 7/32″ of sweep, well within the 1/2″ tolerance that Van’s suggests. 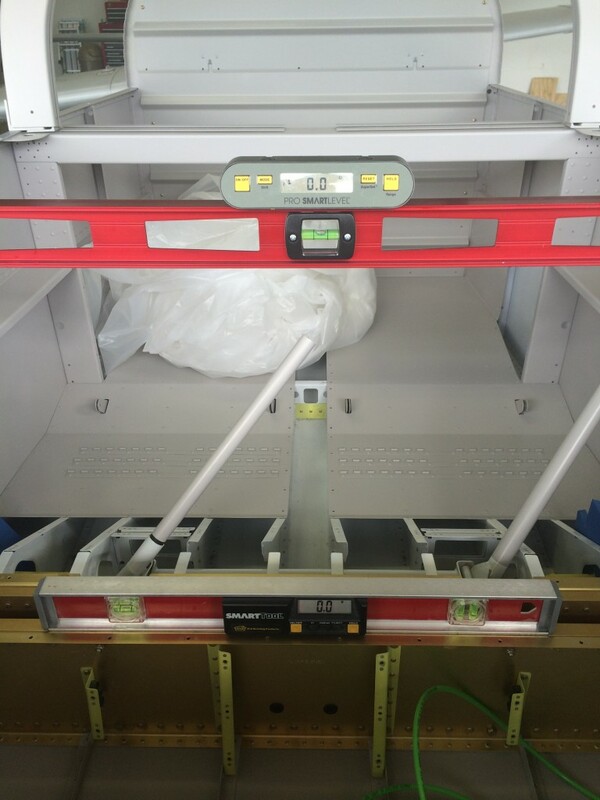 The next measurements check wing angle of incidence. This requires making a simple tool – a carpenter’s level or metal channel with a 3″ spacer on one end. The flat end is placed on the wing skin above the main spar web, and the spacer sits on the skin above the aft spar web. 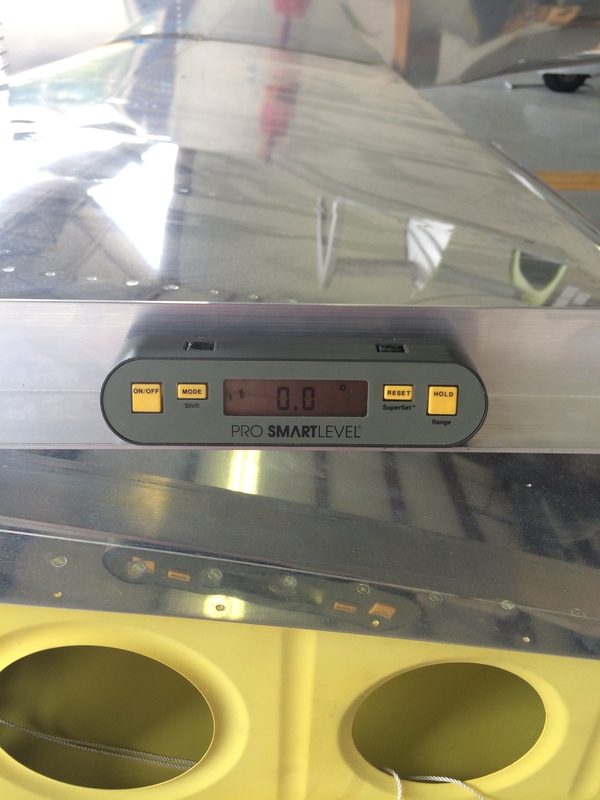 When a level placed on the tool reads zero, the wing has a 1 degree angle of incidence. The pic above shows the left wing incidence is right on the money. The right wing was the same. 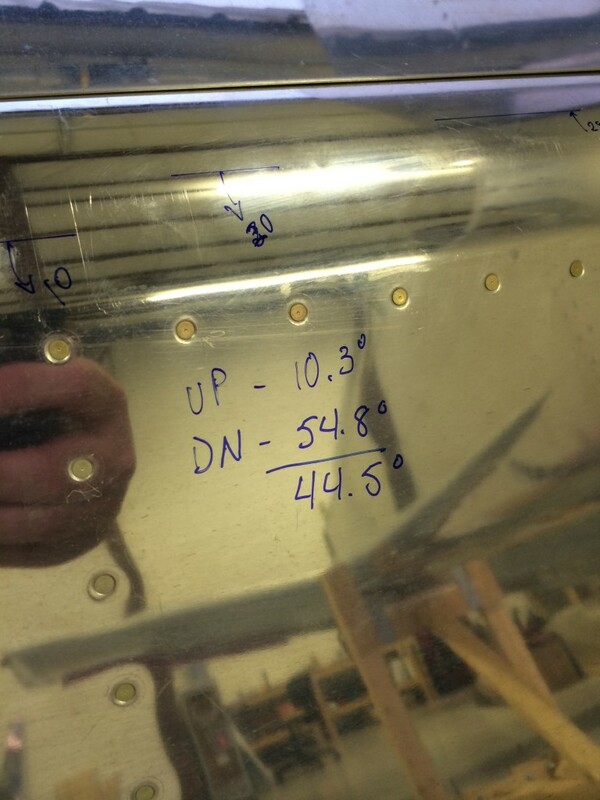 Just for a goof, I checked the angle of incidence at each wingtip…every measurement was within 0.1 degree. This is a real tribute to the quality of Van’s prepunched kits; with reasonable effort, it’s possible to build a nice, straight airplane. …and it looks like they do. 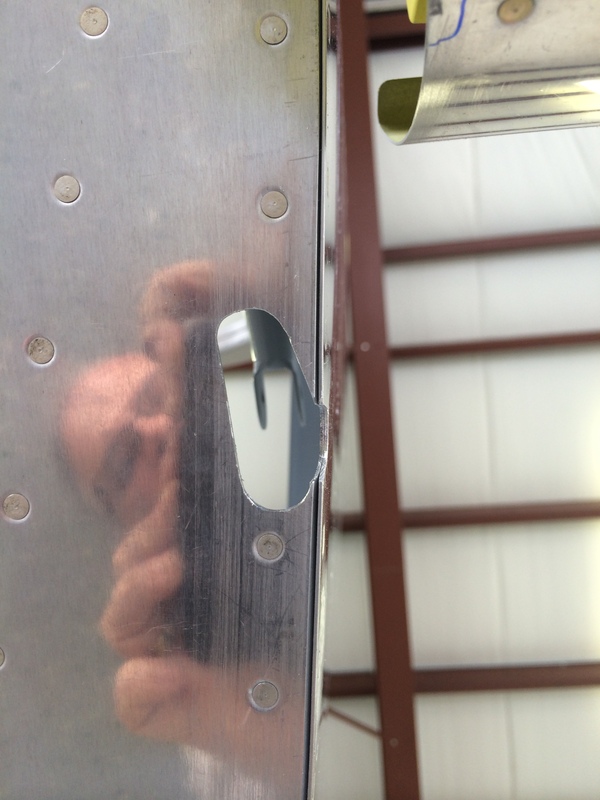 The last and most critical measurements are edge distance on the rear spar for the hole that accommodates a single attach bolt. I laid out lines on the fuselage and wing spar attachments that represent minimum edge distance from the hole center. 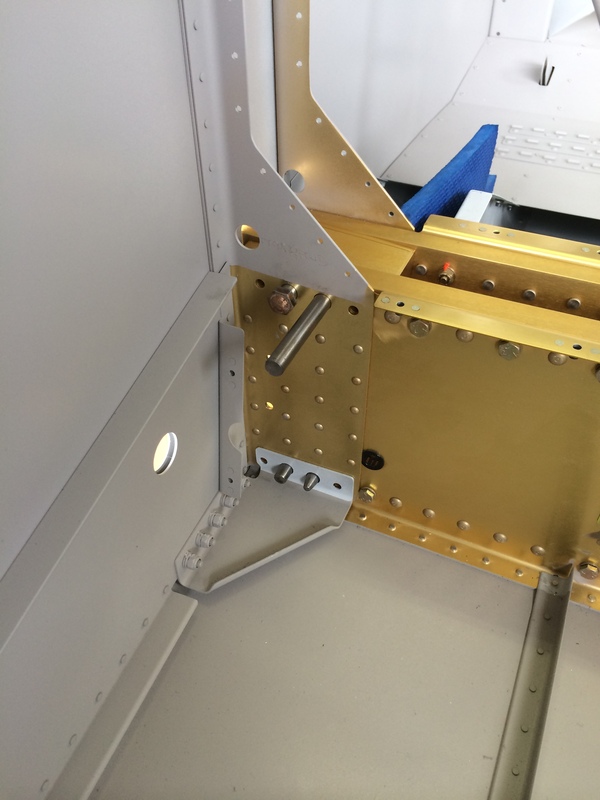 As long as there’s distance between the vertical line on the wing spar fitting and the vertical line on the fuselage fitting, there’s sufficient edge distance for a 5/16″ bolt hole. …and so does the left wing. I’m not in a rush to drill these holes. They’re one of the few gotta-do-it-right-the-first-time things on the project, and I plan to sneak up on them one step at a time. 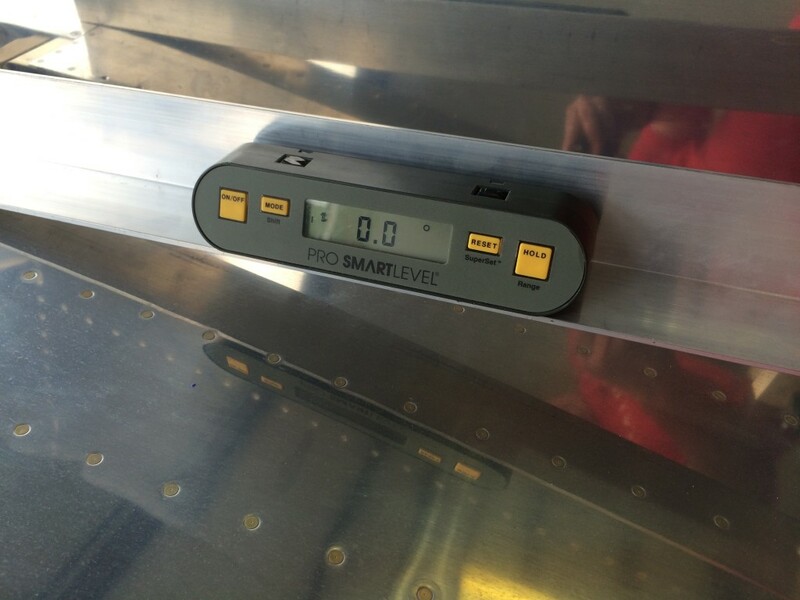 Declaring the flaps complete…for now. 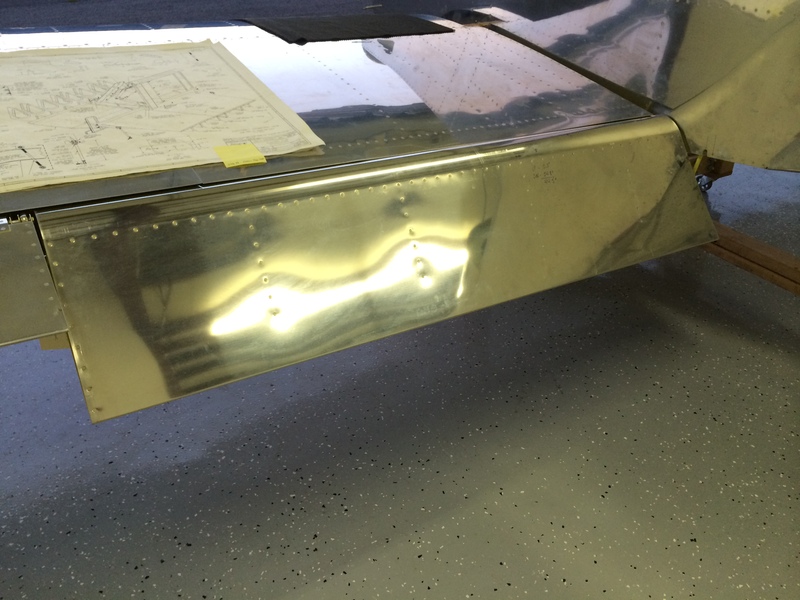 In another fit of marathon airplane building over the last three days, I finished the right flap. Did it just like the left one, so I’m not gonna waste your bandwidth with more pictures. One not-quite-cool note, this flap came out with 1/16″ twist. I’m not quite sure how that happened, because I rechecked the jig before starting. But there it is and from some research I found out it’s not uncommon, so I’m not gonna stress over it. With that, I’m declaring the flaps complete…for now. Did some marathon airplane building over the last three days, and Ellen and I managed to complete the left flap. First, I pulled the bottom skin off and riveted the ribs to it, bucking bar access is a lot better without the upper skin in place! Next, I reassembled the flap without the spar. Ellen and I riveted the upper skin-to-rib and bottom skin overlap rivets. Access was tight, but the tungsten bucking bar made riveting relatively easy. The next day I reinstalled the spar and pop-riveted the rib leading edge tabs. Nothing too tricky here, just need to gently push aside the flap leading egde to get the pop riveter in place. I used my cheapo riveter which I ground down to fit in tight spaces, worked fine. After that, I solo-shot the upper skin-to-spar rivets and squeezed the rib-to-skin rivets – came out great! Before squeezing the spar/skin/hinge rivets, I removed one eye from the center of each hinge. This is where the flap hinge pins will be inserted; I liked this idea better than drilling a hole in the inboard aileron bracket to facilitate inserting the hinge pin. Squeezing the spar/skin/hinge rivets was easy, just had to make sure the squeezer set was narrow enough to make the shop head without hitting the hinge eye. Don’t know why I didn’t get a shot of the completed left flap…but it looks just like the right one – so keep reading. One more thing… this flap came out with zero twist. Very cool! 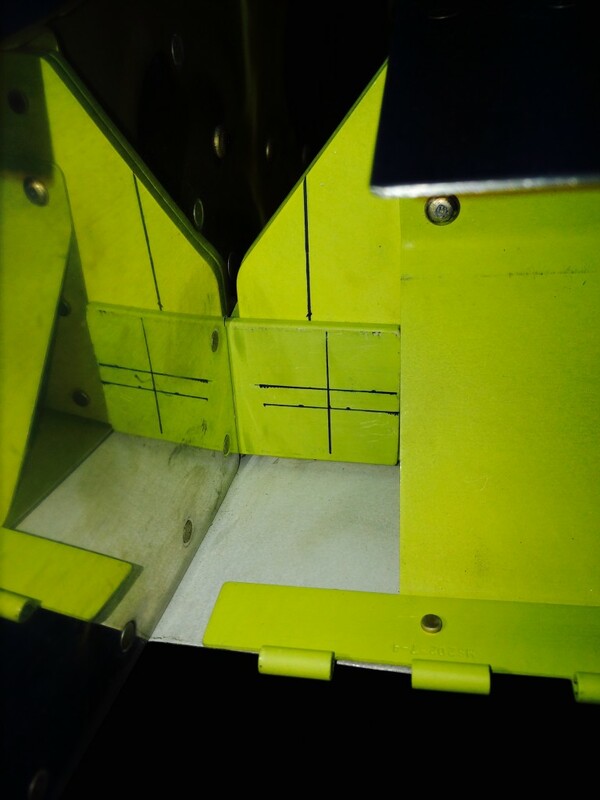 Just as soon as the parts had dried, I riveted the flap actuator reinforcement plates to their respective inboard ribs – making sure to get the nutplate in there too. 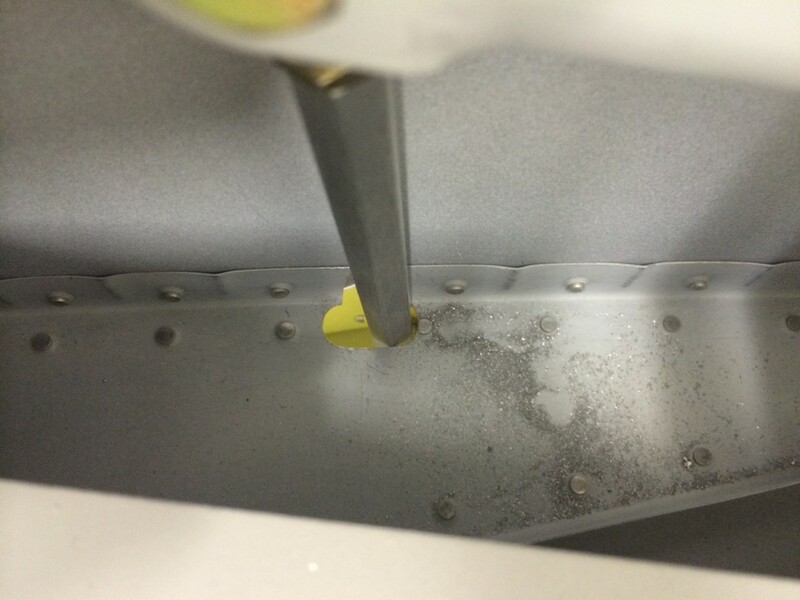 One note here – make sure you squeeze the aft nutplate rivet before you put the reinforcement plate on, otherwise that rivet will be difficult to get with a normal squeezer yoke. The sharp-eyed builders among you will also notice that I used AN470 rivets here; Vans calls out flush rivets but I didn’t want to countersink the rib – it’s not really thick enough. I had the 470-3s, so I used ’em. The next day I riveted the rear tabs on each flap rib to their respective skins, and clecoed the flaps together for final assembly. I’m not going to cover assembly of each flap, they pretty much go together the same way. Big thanks to Dave Rogers for letting me use his flap assembly V-jigs. I screwed ’em to my worktable and leveled them to each other – no problems. One gotcha…after spending all that time in Antony’s paint booth, I realized that I forgot to prime the faying surfaces (i.e., skin overlap areas) on the flap bottoms. Since this is an area where moisture can get forced in between skins, I did some quick masking/alodining/priming of those areas and fixed the problem. Got a lot of work done on the flaps this weekend. 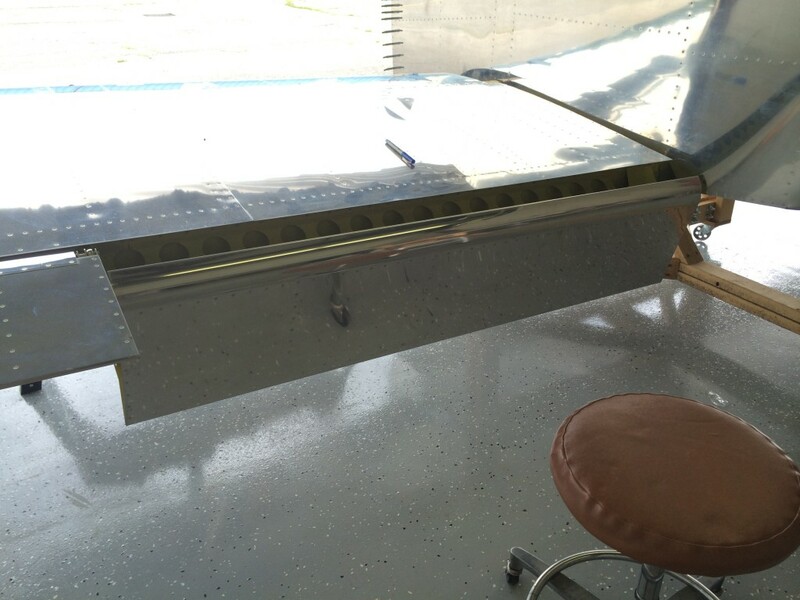 Friday was a day off for me, so I spent the afternoon prepping and alodining small flap and aileron parts – ribs, stiffeners, brackets and spacers. It was too cold to spray and scrub the larger flap and aileron parts outside, so early the next morning I hauled those parts over to the Hanscom Aero Club hangar and did all the cleaning, scrubbing and alumi prepping there – nobody minds a wet floor as long as you clean up after yourself. With that done, I packed up everything including primer, spray gun and miscellaneous supplies and headed up to Maine where my friend Antony Parchment, RV-7 builder and all-around great guy, allowed me to use his paint booth to get all those parts primed. Antony’s paint booth is wicked great – it’s collapsible and folds against one wall when he’s not using it. I helped him assemble it and got right to work priming. Here’s the booth…sorry for the crappy pictures, I did ’em with my cell phone. 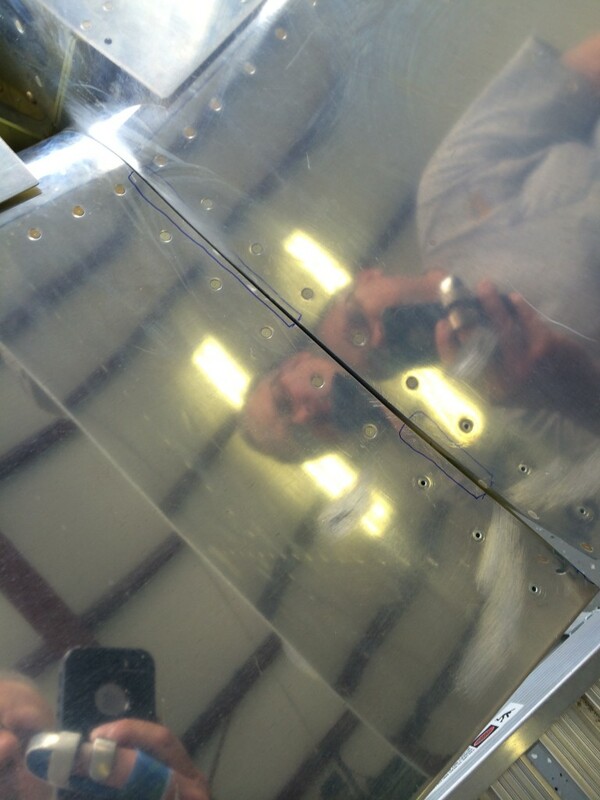 And here’s the flap/aileron priming in progress. 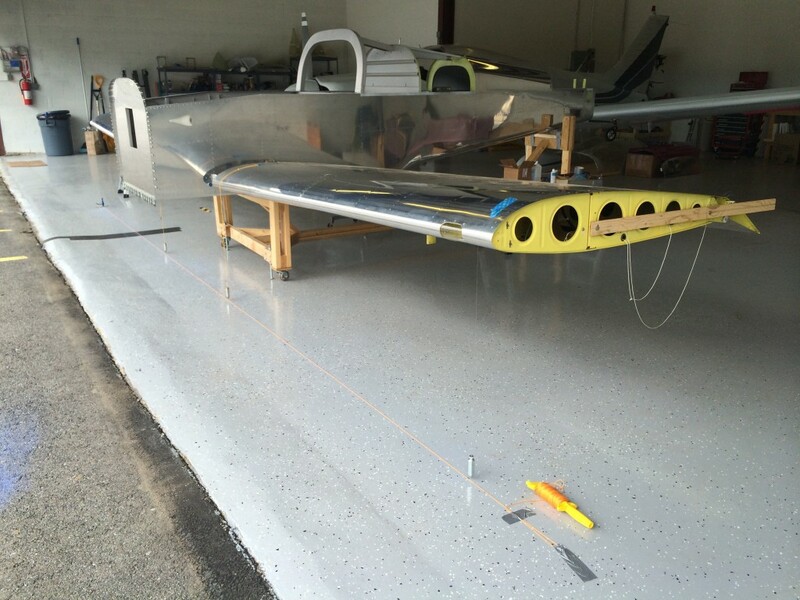 Meanwhile, Antony worked on fitting steps to his RV-7 fuselage. After a hard day’s work, we hunkered down on some great Japanese food in Portland with Antony’s wife and a neighborhood friend. I packed everything up and motored back to Boston. A hard 15-hour RV workday, but worth it. Mission accomplished! Still nothing to report, except the reason now is that I just got back from a two-week work trip to Huntsville, Alabama. Nothing to report, I’ve been on a work trip to Seattle.